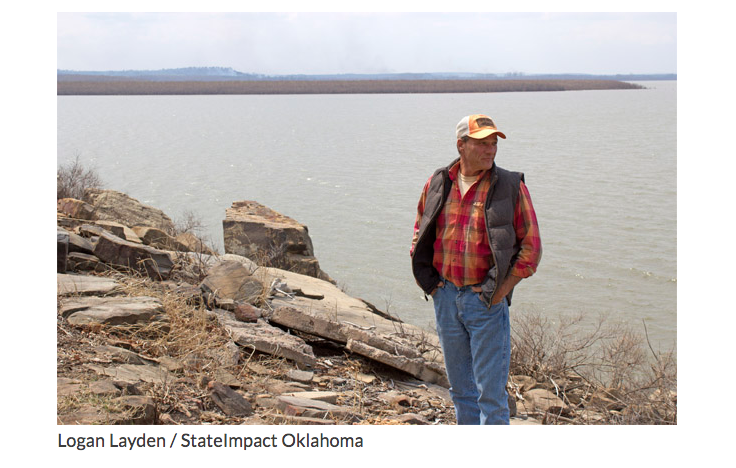 Rick Geisler, manager of Wah-Sha-She Park in Osage County, stands on the shore of Hula Lake. When budget cuts led the Oklahoma tourism department to find new homes for seven state parks in 2011, two of them went to Native American tribes. Both are open and doing well, but each has faced its own difficulties in the transition. Of the seven former state parks, only Wah-Sha-She Park near Pawhuska closed during its transfer to new management.